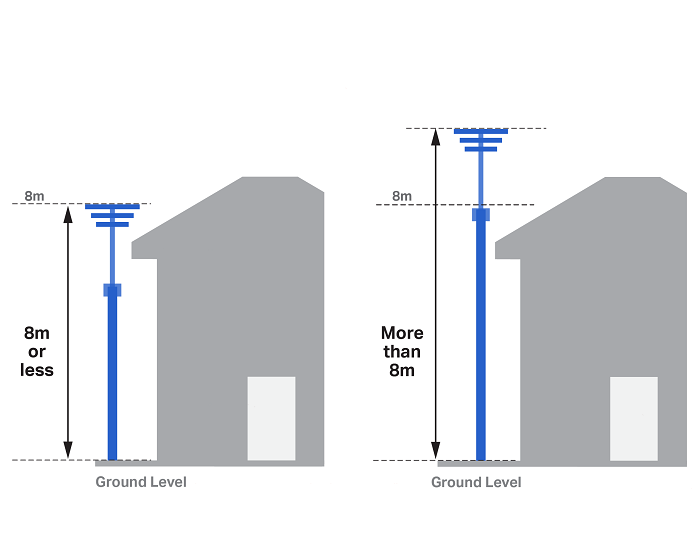 Measure the distance from the top of the aerial or antenna to natural ground level. If no, you don't need to apply for a Building Permit. As long as there are no Planning Permit restrictions, you can install the aerial or antenna. You can now exit this guide.